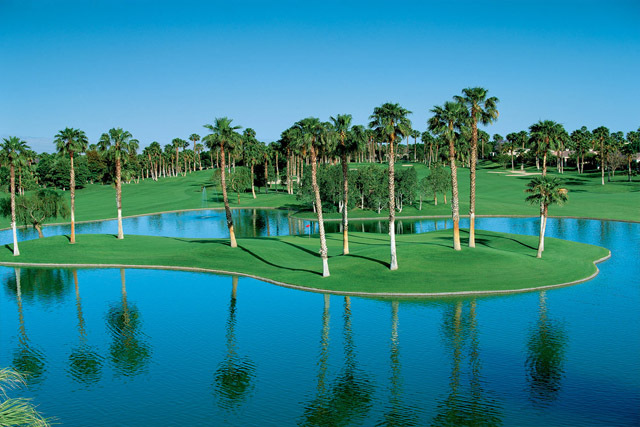 The Palm Valley Golf Club opened in 1989, as the first of three courses to be opened by Del Webb. 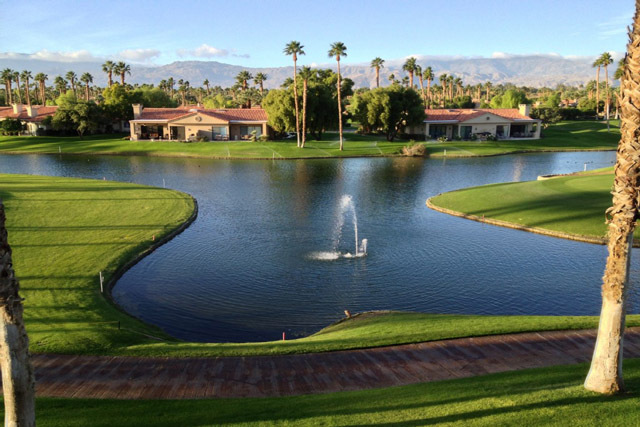 Palm Valley is the longest of the three golf clubs and offers a playing field of 6,580 yards. The course is a par 72 so you can expect some challenging play. In fact, it is not only the longest of the three, it's also the hardest. Aesthetically the area is beautiful. 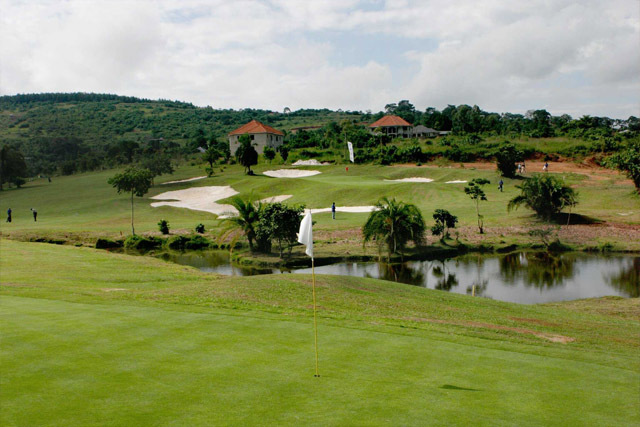 The golf course offers mature rolling greens and manicured fairways. 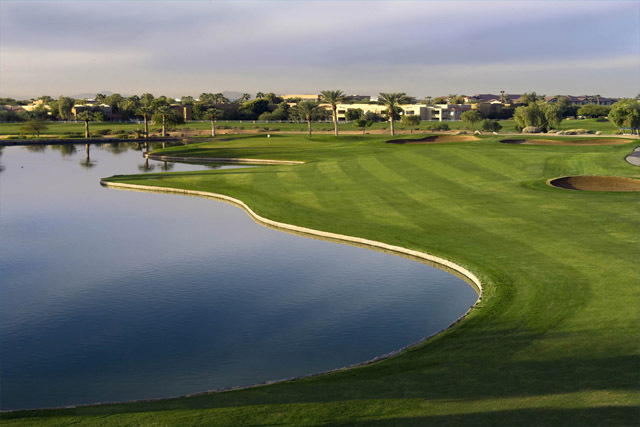 Palm Valley offers four par 5's. The first hole is one of them and it measures a total length of 537 yards. The final hole is also a par 5 and it lasts for 534 yards. Speaking of the final hole you will want to try and be as accurate as possible because there is an out of bounds area to one side and water to the other. If you are visiting Palm Valley for the first time you will need to be aware of their dress code. Shorts, skirts and dresses need to meet length requirements. Additionally, cut off shorts, sweat suits or pants, athletic shorts, tennis shorts, and bathing suits will not be considered acceptable clothing. If you are wearing these items they will not allow you to enter the club. Driving Range, Putting Green, Restaurant, Lounge. 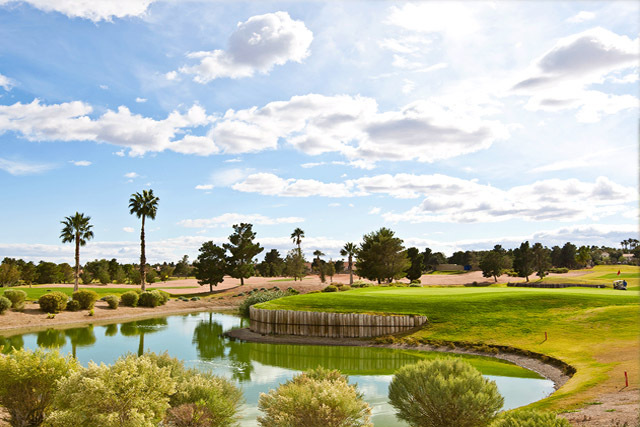 Palm Valley golf course has a traditional design layout and measures 6,580 yards. It has calming pine trees, a relaxed, peaceful, serene aura and offers a staff that comes equipped with smiles. Tranquil and diverse, unlike other courses, Pine Valley was designed with the player in mind. The golf course is a great place to play. Friendly Staff. Have only played a few courses around Las Vegas but if they are all like Palm Valley sign me up. Will defintely play here again. As a matter of fact we will be playing this coming May.